This one goes out to all you watchers who watched my videos from the very beginning! It's Score! I bought so many of these blasters back in the day. I'm pretty sure I never really pulled anything good out of one of these, but they were always a fun break and something that was pretty affordable too. Today I'll once again be ripping into one of these old Score blasters! These blasters were cheap back in the day, but now they are REALLY, REALLY cheap! I was able to pick up this blaster for under four bucks. It's a very long shot, but these blaster do have the chance of finding autographs inside. I don't think I recall ever getting a Score autograph from one of these, but according to the side of the box, they are available to be found! I probably won't get a hit from this blaster, but there are plenty of insert cards to be found when opening up a blaster of Score. This product was really a nod to the early 90's when inserts were getting to be all the rage. 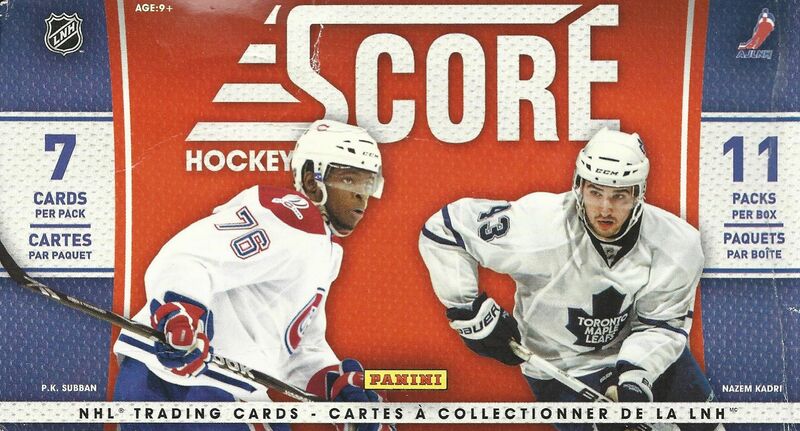 10/11 Score does a great job of replicating the feel of that era of card collecting. This blaster provided me with a number of packs to open and a nice stack of cards in the end. My inserts this time around weren't as impressive as my last Score break, but I think I did ok. 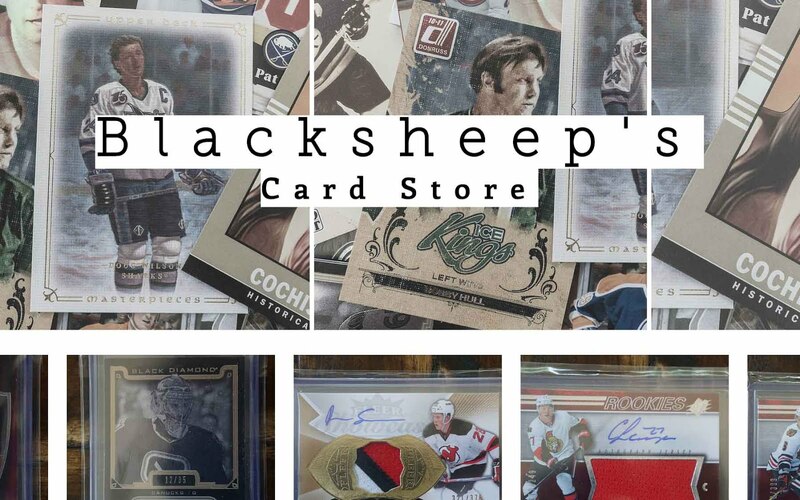 I was most pleased with some of the glossy cards and base cards that I was able to find. This is a relatively large set, so getting the players you want from it can be a challenge. Sadly, none of the rookies I got were very good. I believe this set came out before the hockey season began that year so it wouldn't have the big name guys except for PK Subban. It would have been great to get one of his rookie cards though! Modano was a celebrated player during his time. He actually didn't retire that long ago, so I remember him pretty well. 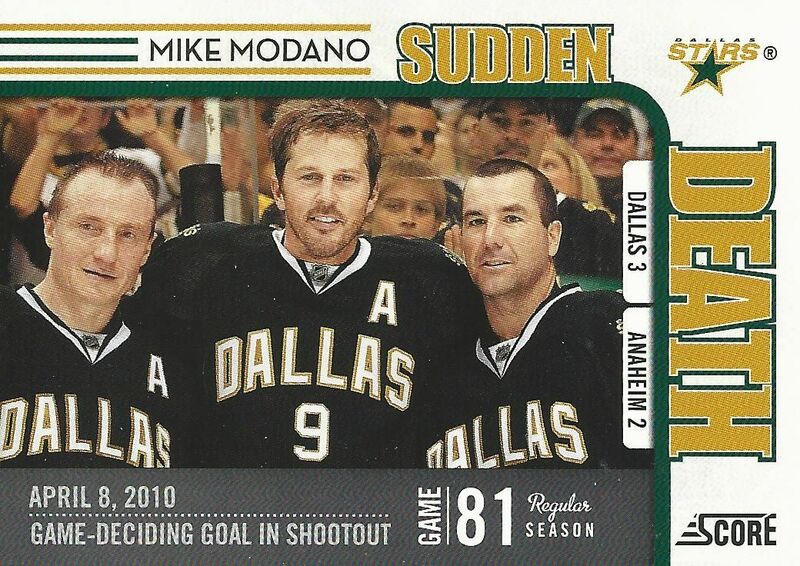 This Sudden Death insert card is pretty sweet as it makes note of Modano's game-deciding goal in a shootout. 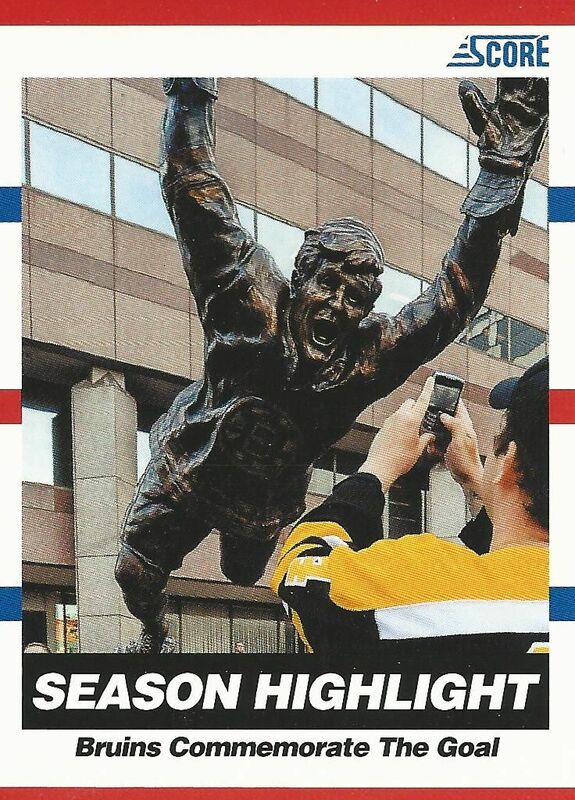 Is this a Bobby Orr card? Sort of! For the sake of this post I'm considering it a pretty cool looking Orr card. This card stood out to me because it is of a statue rather than the actual player, and it was shot at an interesting angle. 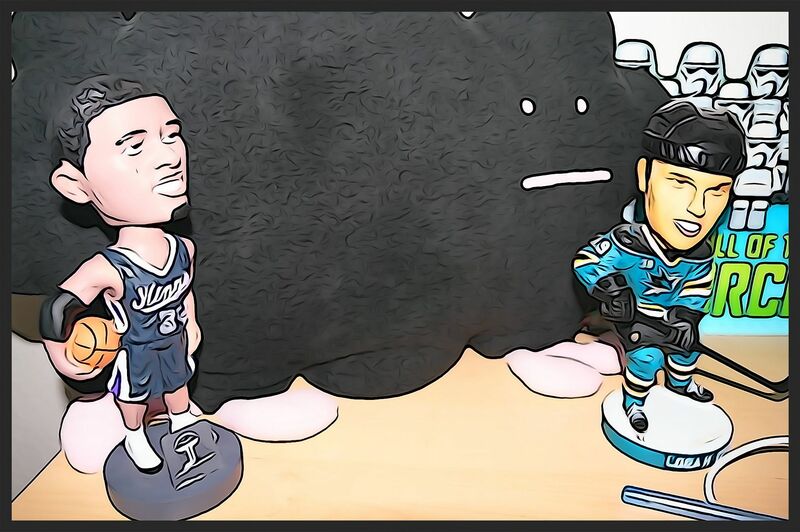 Ahh, former Sharks are aways a favorite of mine to get. 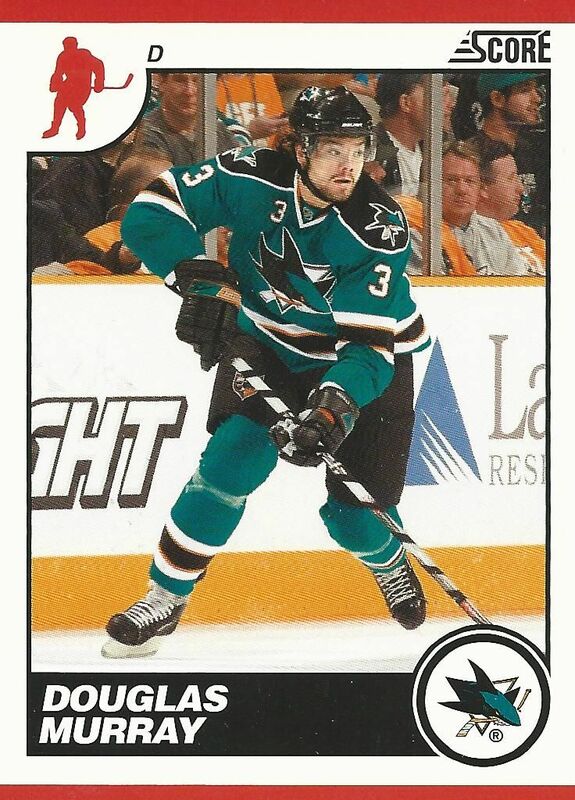 Douglas Murray was a brute of a man and I always rooted for him when he was with the team in teal. This is an especially cool card because it is a glossy parallel. You wouldn't be able to tell though through this scan. At such a cheap price, I think the value is solid. You know you're probably not going to get anything really great in terms of value from this blaster, but it does provide a fun break and one of the cheapest prices possible. 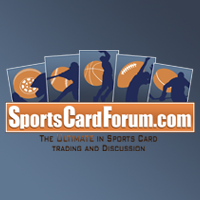 For those collectors looking to just break a few packs or for people who are on a really tight budget, this blaster of Score may be just the thing. And who know? Maybe an autographed card will come out on one!